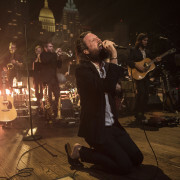 Austin City Limits is excited to announce upcoming tapings with a trio of music’s finest. UK superstar Ed Sheeran returns on August 20 for his second Austin City Limits appearance, supporting his chart-topping new album ÷. Indie rock star Father John Misty arrives on August 22 making his ACL debut, in support of his third album Pure Comedy and iconic Herbie Hancock makes his long-awaited ACL debut on October 12. 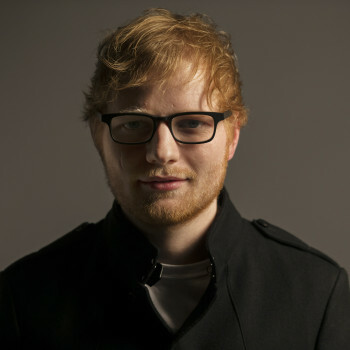 Ed Sheeran – an eleven-time Grammy nominee and multiple Grammy winner – has quickly established himself as one of music’s biggest acts with over 22 million albums sold and 4.7 billion Spotify streams. His latest release ÷ (pronounced “divide”) debuted at #1 on the Billboard charts and finds the 26-year-old sensation in his finest form yet. Drawing inspiration from a wide array of experiences and subjects, Sheeran takes us through a hugely personal journey by reflecting on past relationships, family memories, his musical career and his time off traveling the world in 2016. Musically, ÷ is a varied collection of beautifully orchestrated and emotive ballads, impassioned raps laid over hip hop beats, timeless acoustic guitar masterpieces, and innovative, idiosyncratic pop music. 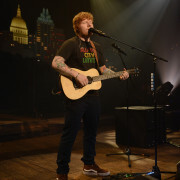 Rolling Stone notes that “Sheeran’s musical history lesson is both well-timed and rip-roaringly fun,” while The New York Times calls it “a batteries-fully-charged assault on the pop charts from a performer skilled in musical osmosis.” Sheeran made chart history this year with the first two singles from ÷, “Shape Of You” and “Castle On The Hill,” debuting at #1 and #6 respectively on Billboard’s Hot 100, making him the first artist in the chart’s 58-year history ever to debut two singles in the top 10 simultaneously. Sheeran continues to break records, with lead single “Shape Of You” recently becoming the third song ever to hit an incredible 1 billion streams on Spotify. His follow-up single “Castle On The Hill” has logged over 185 million views on YouTube and has already begun its ascent up the charts. This June, Sheeran received the prestigious Hal David Starlight Award from the Songwriters Hall Of Fame. 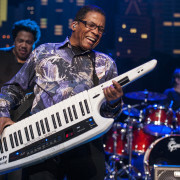 Six decades into an extraordinary career, 14-time GRAMMY Award winner Herbie Hancock remains at the forefront of world culture, technology, business and music. In addition to being recognized as a legendary pianist and composer, the ardent music ambassador has been an integral part of every popular music movement since the 1960s. As a member of the Miles Davis’ Second Great Quintet, he pioneered a groundbreaking sound in jazz. He also developed new approaches on his own classic ‘60s recordings like Maiden Voyage, followed by his work in the ‘70s with record-breaking albums such as Head Hunters, combining electric jazz with funk and rock in an innovative style that continues to influence contemporary music. His trailblazing 1983 cross-over smash “Rockit,” an early hip-hop touchstone, is considered one of the first songs to feature “scratching,” and with the album Future Shock marked Hancock’s foray into electronic dance sounds; during the same period he also continued to work in an acoustic setting with V.S.O.P., which included ex-Miles Davis bandmates Wayne Shorter, Ron Carter, and Tony Williams. Hancock received an Academy Award for his Round Midnight film score and fourteen Grammy Awards, including Album Of The Year for River: The Joni Letters – only the second jazz album in the Recording Academy’s history to ever receive that award – and two Grammy Awards for 2011’s globally collaborative CD The Imagine Project. 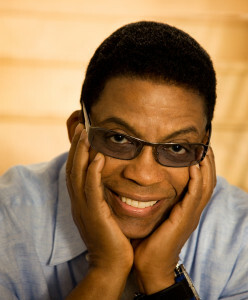 He was awarded a Kennedy Center Honor in 2013, published his memoir Herbie Hancock: Possibilities in 2014 and received a Grammy Lifetime Achievement Award in 2016. Many of his compositions, including “Cantaloupe Island,” “Maiden Voyage,” “Watermelon Man” (a tune from his first album that has been recorded over 200 times) and “Chameleon,” are modern standards. 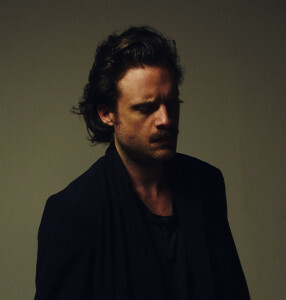 Hancock will be touring across the globe this summer and fall and is currently at work on a new studio album. Want to be part of our audience? We will post information on how to get free passes about a week before each taping. Follow us on Facebook and Twitter for notice of postings.